Sometimes, I’ve put something on the back burner for whatever reason and a nudge from my wanderings online and elsewhere will serve as a reminder to circle back around. As we approach the weekend, it seemed a good time to catch up on several people, places and product I’ve been meaning to mention. 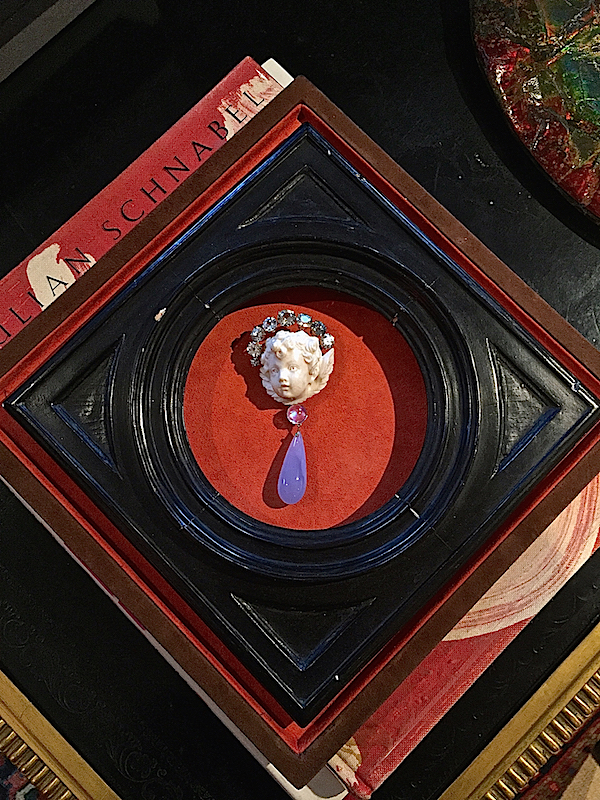 You may remember when I visited the exceptional jewel box of a shop Simon Teakle, I wrote about Taffin, the exquisite work of James de Givenchy. Ever since then I had been meaning to visit his NYC showroom. This fall he moved into new headquarters and before the holidays I finally had a chance to visit. 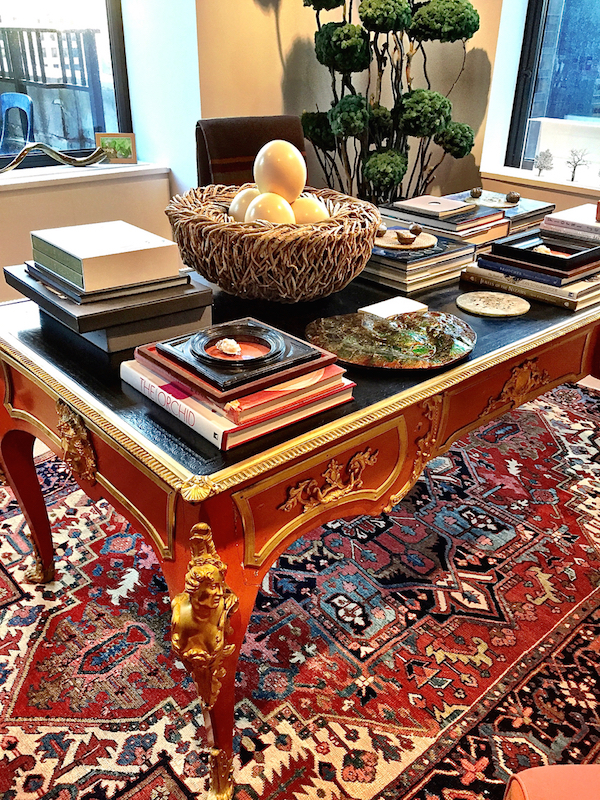 In a sophisticated fusion of old meets new, French antiques, exotic accoutrements and saturated colors meld for a high style yet welcoming setting. It was a recent piece in the March Architectural Digest on the new space that reminded me to share. Like his furnishings, Givenchy’s jewelry features unexpected yet stunning combinations, seeing in the brooch below. 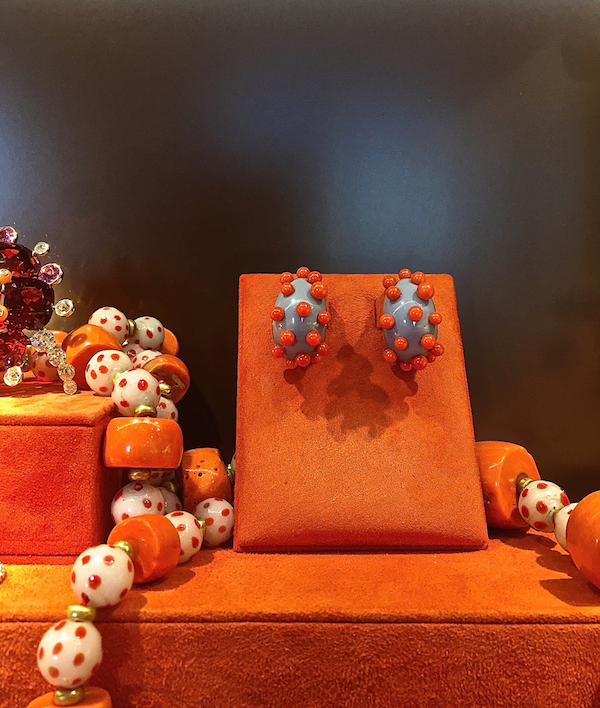 If you visit the AD article, you’ll see the space is swathed in a vibrant orange, that is carried through to the cases and in these gorgeous earrings I coveted. The new collections presented at Paris Deco Off are starting to appear and I noticed that Pierre Frey‘s spectacular Braquenié collection was featured in both this month’s House Beautiful and Elle Decor. I had seen a sneak peek of the collection last fall and since I couldn’t make the trip to Deco Off (can you hear the muffled sniffling), I stopped by the showroom to get a proper look. While Braquenié has previously focused on the splendor of the 18th century, this collection, extols the beauty of the Second Empire, with exquisite results. I couldn’t help but share a few favorites. 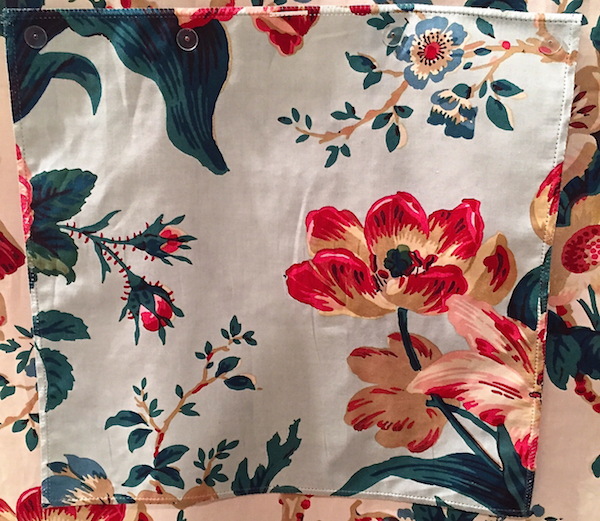 The namesake of the collection, Jardin d’Hiver, is a magnificent embroidered cotton satin. 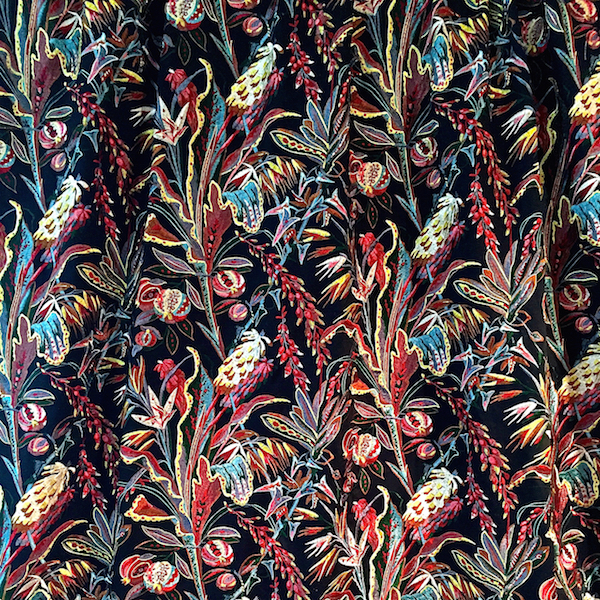 A pattern from the archives, originally printed on cotton around 1860, was transformed into multicolored exotic flowers embroidered on a black background so popular in this period. It is dramatic and magnificent! 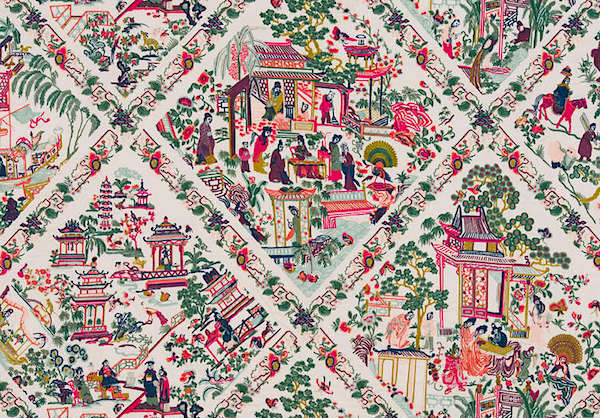 Another embroidery, l’Empire du Milieu, is a charming chinoiserie. As you’ve seen in our video visit to the Pierre Frey archives in Paris, their collection is an incredible source of not only document fabrics but a variety of inspiring textile finds from around the world. 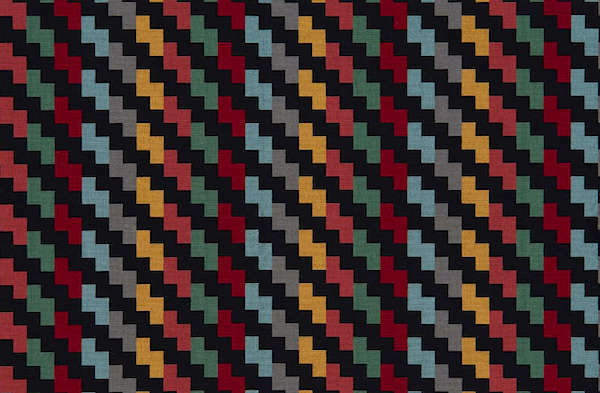 This fabric is based on a rare Chinese shawl made for the Western market. Four scenes from it are reproduced within a geometric framework. Le Palais Imperial fits right in with all our talk of Ottoman chic. 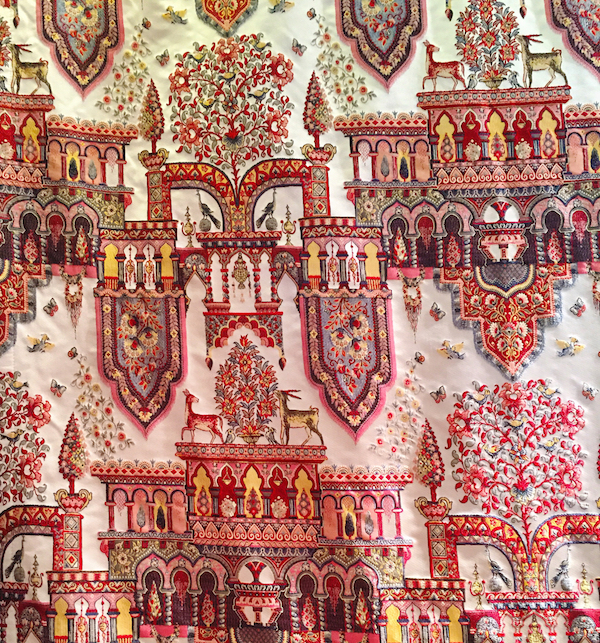 This intricate exotic jacquard is reminiscent of a palace out of Arabian Nights. As you heard Patrick Frey explain in our video, they were enlisted to help decorate the Petit Trianon at Versailles during its restoration several years ago. 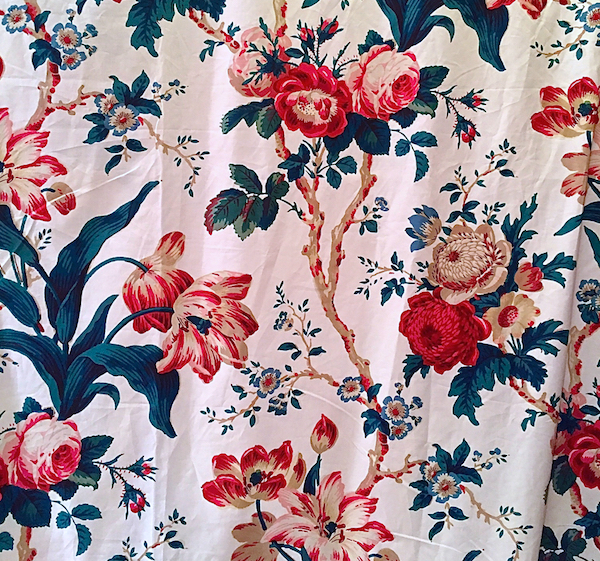 This enchanting print, Imperatrice Eugenie, was created for one of the bedrooms. Eugenie, the wife of Napoleon III, who adored Marie-Antoinette and her escapist château, was responsible for the return of Louis XVI style during the eclectic Second Empire period. The curators at Versailles acknowledged the Empress with this charming woodblock named after her. It also comes with the loveliest pale aqua background. 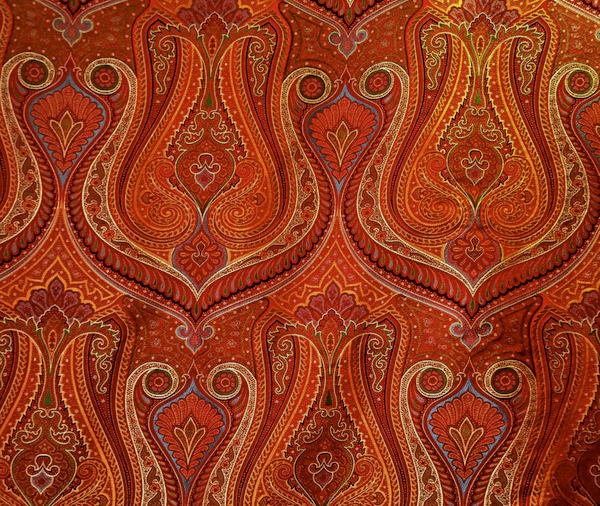 Shawls were a popular fashion statement of the period and Exposition Universelle (named after the world’s fair in Paris in 1889) interprets that into a gorgeous 100% silk jacquard paisley. My photo is a bit bright – it is much deeper and richer in person. I think one of the most versatile patterns is the Louis Napoleon. In a durable yet luxurious uncut velvet, it is based on the pattern of a fabric covering a small flea market find of a Second Empire chair. I love how this strong multicolor graphic looks both classic and modern. While I prefer the black, it is also available in lighter colorways. These are just a few samples of a fabulous collection, as are the others under the Pierre Frey umbrella. 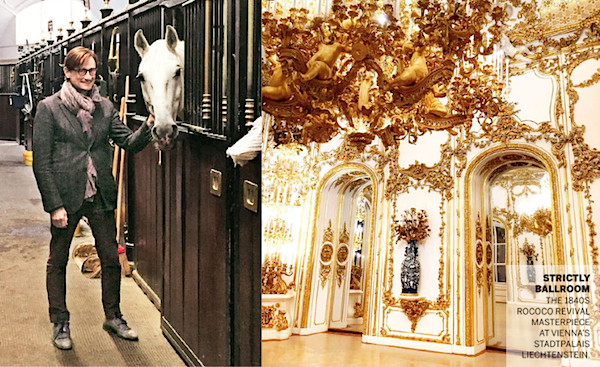 One recurring theme, how Austria is in the air, started with my visit to the Neue Galerie Gift Shop followed by T magazine’s piece on an amazing art collection in a 17th century Austrian Manor to Travel & Leisure’s Christmas in Vienna to Karl Lagerfeld’s amazing Chanel show in Salzburg and most recently Charlotte Moss’ choice itinerary in the City of Dreams. 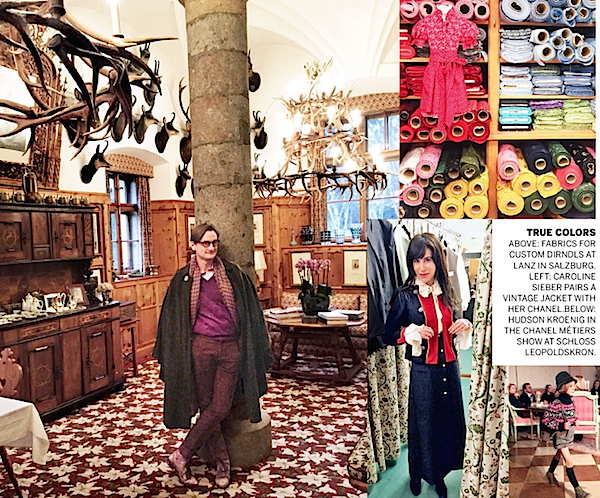 That roving arbiter of international chic, Hamish Bowles, was also intrigued and with guide Caroline Sieber, whose Viennese wedding was covered in Vogue, hit some of the city’s most traditional and stylish venues. You can see all their smart destinations in this month’s issue. Clearly a stop on my ever-expanding travel agenda. I hope all of you who enquired, were able to get subscriptions to the very chic and urbane Cabana magazine. While the second issue seems to be out of stock already, you can preorder Issue No. 3 (due out April 16) here. I was reminded to check on you when I noticed Departures also recently recommended Cabana as a worthy read. For inspiration until you receive your next issue, you can follow along on their visual feast of an Instagram feed, as below with a timeless interior from Renzo Mongiardino. 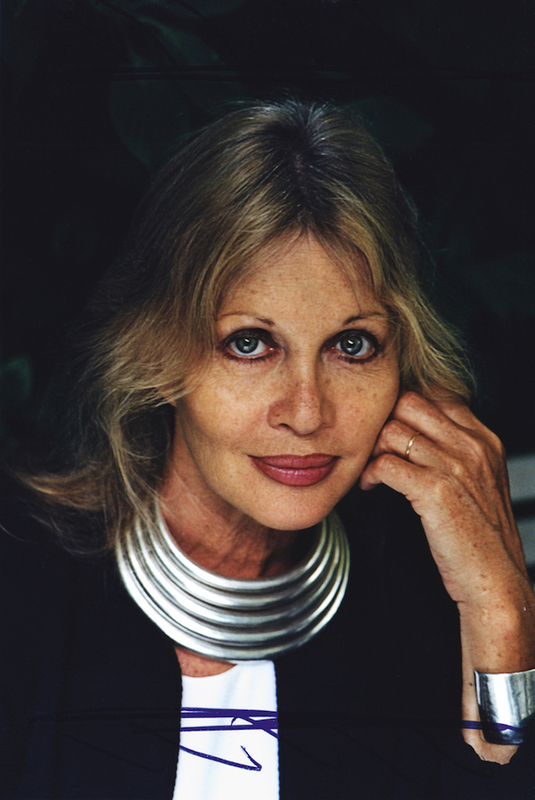 And with perfect timing for the finale of our weekend update, those who are craving more of Anouska Hempel’s inspiring style (before your book comes), can stop by Sotheby’s online magazine where they published a short interview with the designer. So wishing everyone a happy weekend. 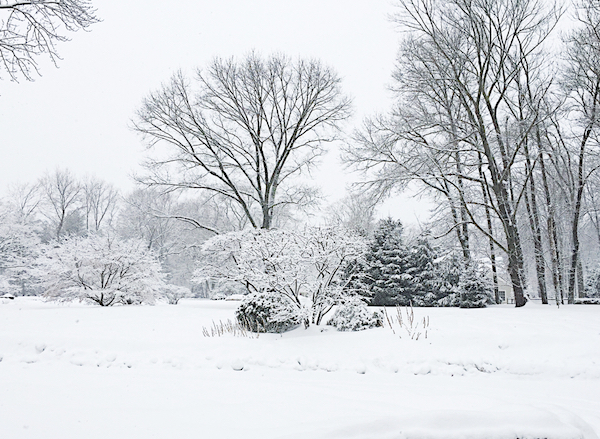 And to those in the northeast, stay warm, dry and pray for spring! I’m looking forward to seeing green sometime soon. This entry posted in art, fashion, interior design, jewelry, travel. Entry Tags: Austria, Braquenie, Cabana Magazine, James de Givenchy, Jewelry, Pierre Frey, Taffin, Travel, Vienna Bookmark the permalink. Love love ove this story of course ! Glorious potpourri of color, texture, design! Great way to begin the week-end! So much glorious beauty. 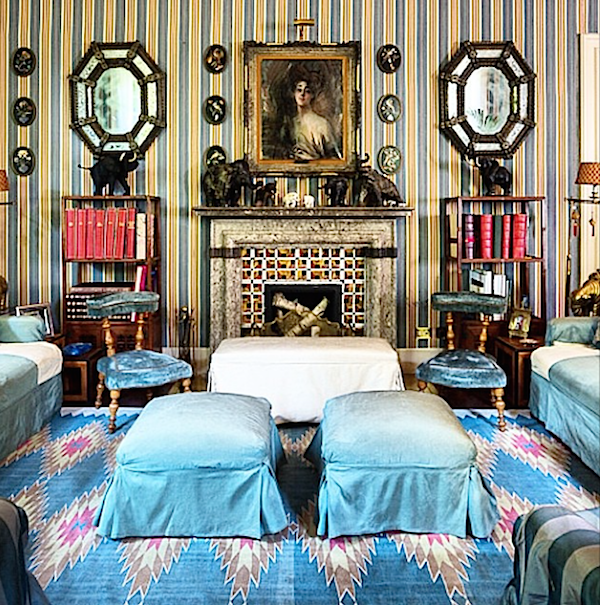 The Pierre Frey fabrics and I adore the Renzo Mongiardino room with the stunning blues! Have a great weekend Stacey!! Stacey you’ve given us so much glorious beauty today! The Pierre Frey fabrics and that fabulous Renzo Mongiardino room with the stunning blues! When I die, I want to be enshrouded in l’Empire du Milieu! So lovely! Thanks for all the eye candy and inspiration. Hi, very interesting. Can you tell me if the interiors by Renzo Mongiardino, like the picture in this article, have been featured in any of Cabana Magazine issues? 80 queries in 0.524 seconds.